Every season brings new styles, colors and trends. As the dog days of summer slowly come to an end, we are excited to reveal to you Greenhouse Fabrics newest additions. Over the next two months we will be introducing 13 new sample books, and one new leather waterfall. We’ve added something for everyone, and are confident that both you and your customers will be satisfied with our newest books! If you’re looking for Vinyl we have added three news books; Book B10 Morbern Classic- Mobern Best of Solids, which will provide you with over 80 different solid colored Vinyl options ranging from your basic neutrals and blacks, to bright yellows and blues and everything in between. Book B11 will give you new Faux Leather options, and Book B12 will feature Contract and Marine Solids and Patterns. If you are on the market for the perfect upholstery fabric, we hope you’ll find just what you’re looking for in one of our five new upholstery books. If you’re looking for Chenille, Book B13, Chenille Basics, is where you’ll want to look, the book will feature over 60 different Chenille fabrics. Book B14, The Classic Natural Cotton, will provide you 100% Cotton Solid fabrics, and Book B15: Soft Medley Microfibres will expand your Microfibre collection. If design books is what you’re looking for, don’t fret, September is your month! 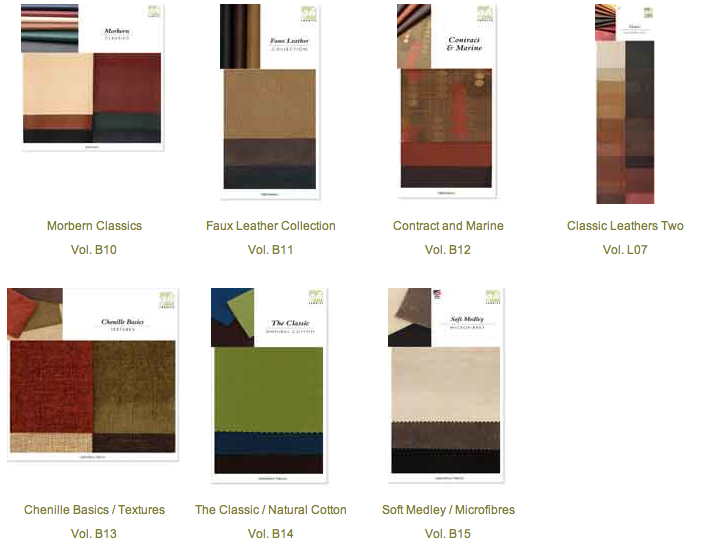 Seven new books will be released which will include: B16: Whites and More, B17: Small Scale Coordinates Three, B18: Shalimar Combed Cotton, B21: Dupioni Silks- 100% Silk Solids, B22: Small Scale Coordinates Two. The set will also include two drapery books, B19: Sheer Natural Drapery and B20: Primary Textures. And last but not least, we are excited to introduce our Classic Leathers Two- Best of Leather Waterfall, which will expand your leather collection. Make sure to let us know what you think of our books! Also, we would love to see your work, so send us pictures of projects to socialnetworking@greenhousefabrics.com ! Be sure to check out all of our new sample books on our website as well!